With the implementation of the MS-DRGs and the CMS-Instituted RAC (Recovery Audit Contractor) Audits, Physician Queries are now more important than ever. The format of these forms is not protected and may be modified as necessary. Copy the form onto your hospital letterhead. These Physician Query Forms may not be copyrighted, re-sold, or re-distributed without the prior written consent of Healthcare Cost Solutions, Inc. 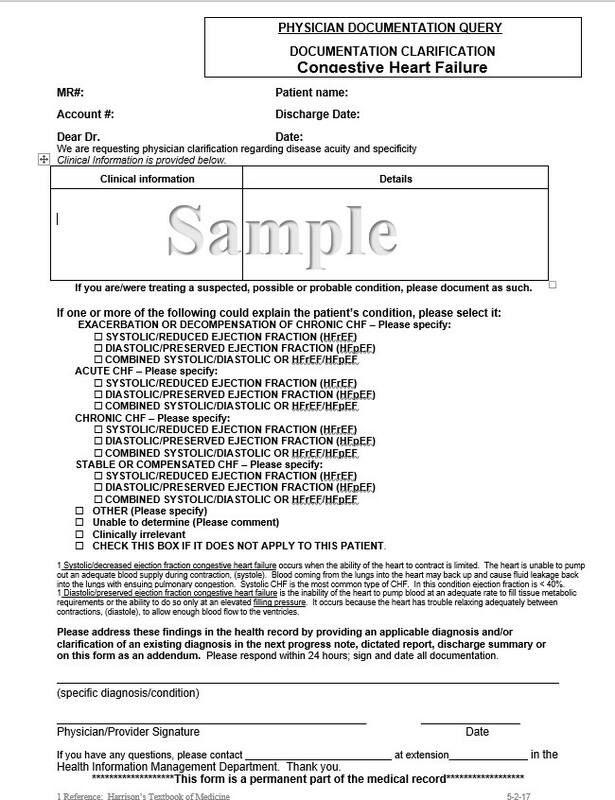 Physician Query Forms listed on this page were developed to address the required MS-DRG information and in response to California hospital experiences with the RAC Audits. Support: CEUnits@hcsstat.com or 866-427-7828. Note: When you click Purchase Now , you will be taken to PayPal for payment options. After purchasing, an email will be sent to you in 5 to 10 minutes with an access code and directions for downloading the queries. For payment by check, contact the number listed above.